Rapper dumbfoundead released the music video for his track “Cellphone” with his friends Breezy Lovejoy x Wax off dumbfoundead’s DFD album. Hungover from a night of partying, dumbfoundead tries to sort out where he is, where his cellphone is, and what happened. Chaos ensues when the dad (played by Wax) comes home to a trashed home. On Wax’s verse, roles are reversed with Wax figuring out what happened the night before. The dad (played by dumbfoundead) tries to take swings at Wax with a golf club. Breezy Lovejoy handles the chorus and the middle verse. Look for cameos by Timonthy DelaGhetto and Geo from Just Kidding Films. You can get the single on or amazon. 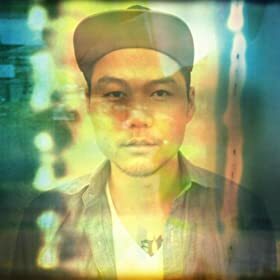 Listen to more dumbfoundead: Cool and Calm, For You, BRB, Are We There Yet?, and Love is a Song (DFD Remix). This entry was posted in music on April 8, 2012 by Kevin Hsieh - channel APA.